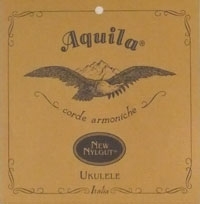 My purchase from Strings By Mail of the Aquila Nylgut Baritone Uke DGBE Tuning 21U strings was one of the most rewarding marketing experiences in my life. Not only was the upgrade beneficial to the tone of my instrument it also increased my facility to fret and strum. My relationship w my family is no longer on the rocks and the pet goldfish I had long thought dead is now swimming around in its bowl once again. My car is running better and my cancer is in remission. Doctors have reattached the leg I lost in a logging accident and I’ve entered in my first 5k run. I’ve lost 14 lbs and my skin is clearing up. I owe it all to Strings By Mail and the fine products they purvey. Thank you, Strings By Mail. I am naming my first born child after you. Thank you. Thank you so very much. My order was filled accurately, and shipped promptly. Very nice to deal with, and highly recommended. Strings by Mail is an excellent vendor! Personal touches with each order. Good volume of strings for your choice, competitive prices, responsive, and fast delivery. What more could you ask for!?! Red/E-1, Blue/B-2, Green/G-3 and White/D-4. Q: Is this set for low D tuning? I notice the D string is the second smallest diameter. Seems like it might be for a re-entrant tuning? A: Yes it is a low "D". It is a wound string so you can not compare it to the "E" and "B". Also it is a different material than the "G" that is why it is smaller.